The Blazers have been a good team for several years. But without a clear shot at a title, what is their path forward? Contributor Jordan Brenner investigates. 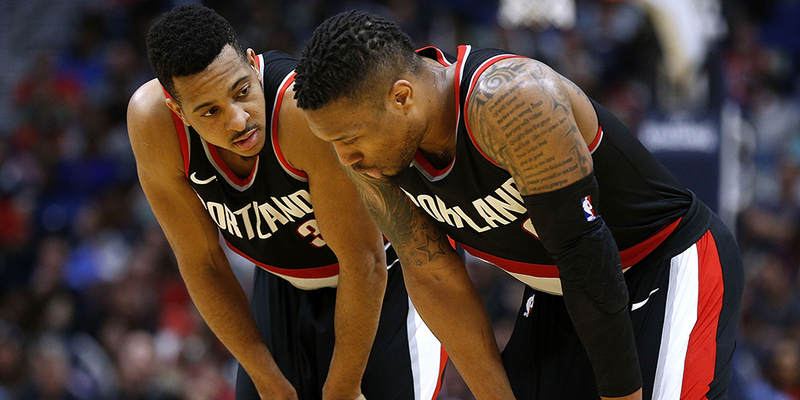 It’s easy to forget after a first-round thumping at the hands of the Pelicans, but the Trail Blazers finished third in the Western Conference last season. Yes, their 49 wins were only three better than ninth-place Denver, but only the Rockets and Warriors won more games in the West, which says something for a team that was thought to be on the playoff bubble before the season. The Blazers have reached the playoffs five seasons in a row and made it out of the first round twice. Depending on the franchise’s goals, that’s a run of success worthy of pride: GM Neil Olshey and coach Terry Stotts have built a sustainably strong roster led by an All-NBA player in Damian Lillard; the Blazers regularly fill the Moda Center; and the team remains among the league’s youngest. But what if that goal is not good enough for those in charge?